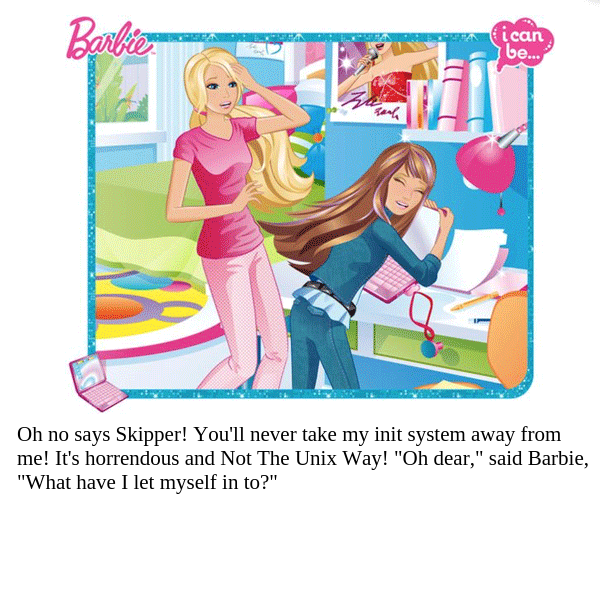 Some people may have seen recently that the Barbie series has a rather sexist book out about Barbie the Computer Engineer. 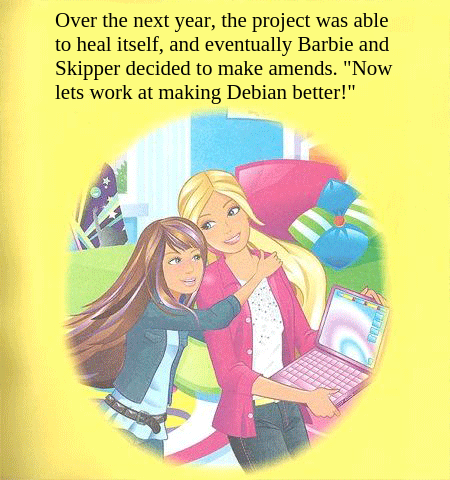 Fortunately, there’s a way to improve this by making your own version. 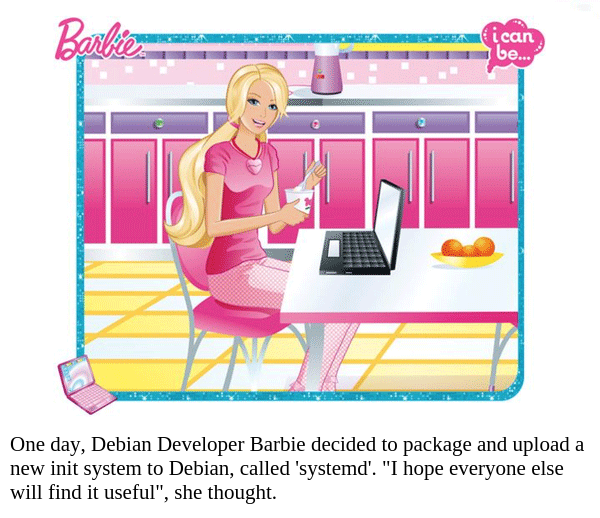 Thus, I made a short version about Barbie the Debian Developer and init system packager. 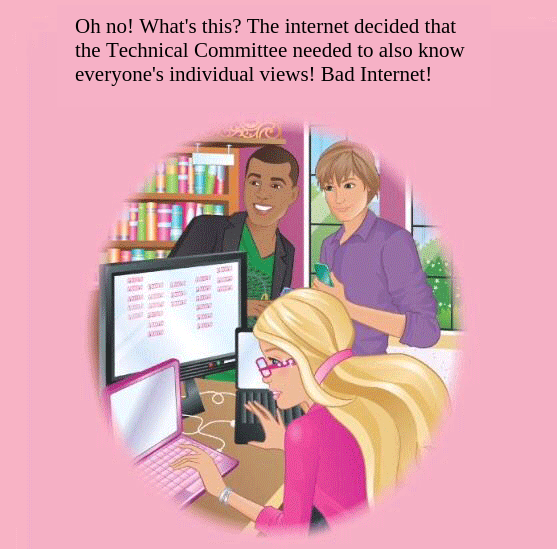 Edit: added text in alt tags. Also, hai reddit! 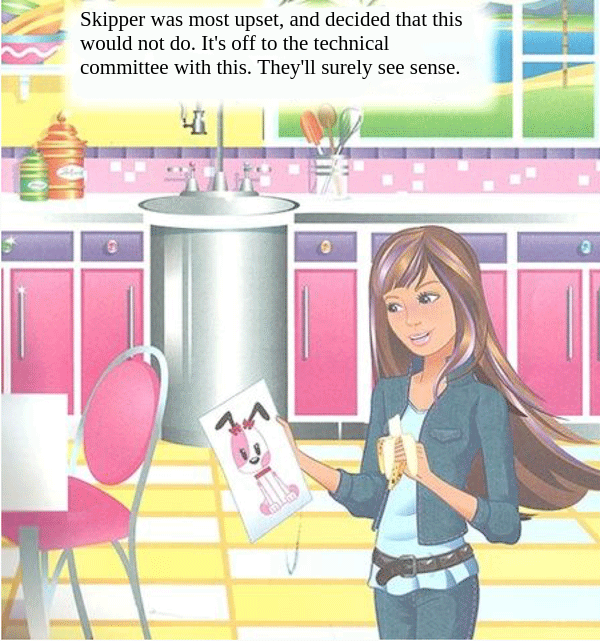 This is hilarious, thank you so much! 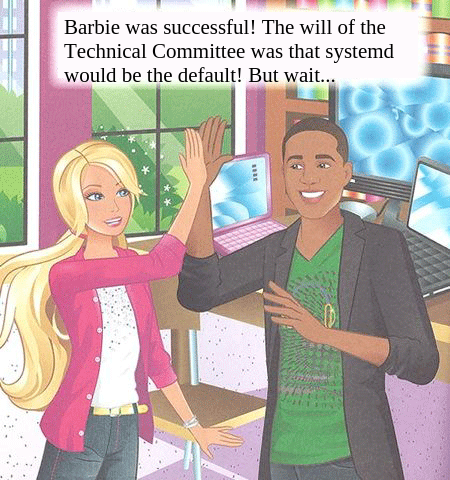 Why didn’t we have Barbie the Computer Engineer a year ago?!?! 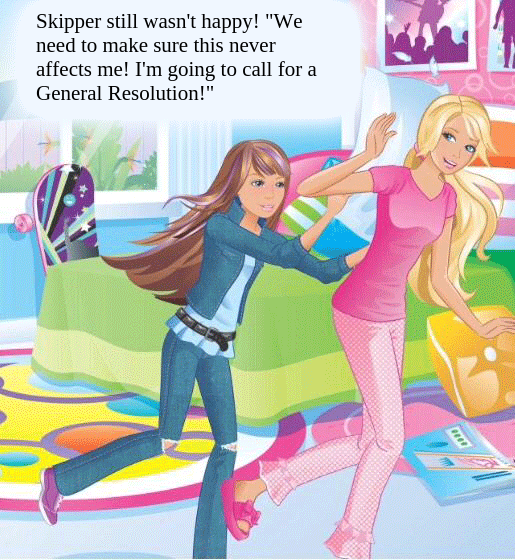 Hahaha Ken, made my day! Noted, and known (and not offended). 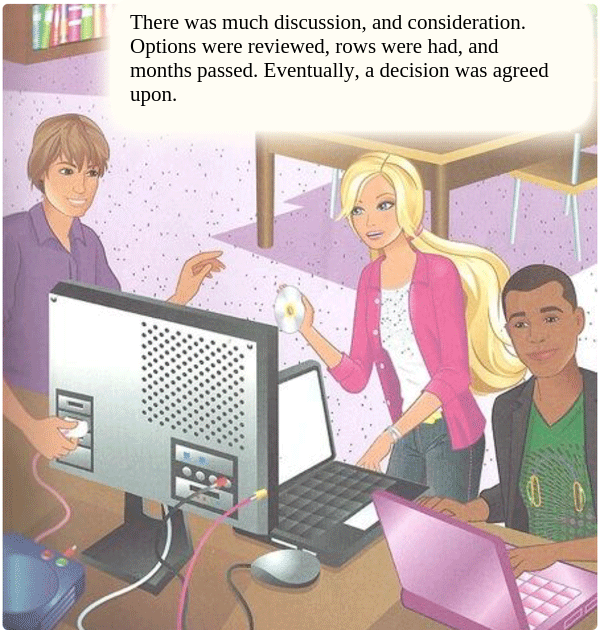 In case it’s unclear – I very much enjoyed and appreciated your Barbie explanation[*1]. Humour and intelligence are great tools for providing new perspectives. Often when satire challenges opinions based on emotional over-investment (bias) the joke, and the thinking behind it, is dismissed by the partial quoting of Mr Wilde – “sarcasm is the lowest form of wit“. Hence my satirical quote. 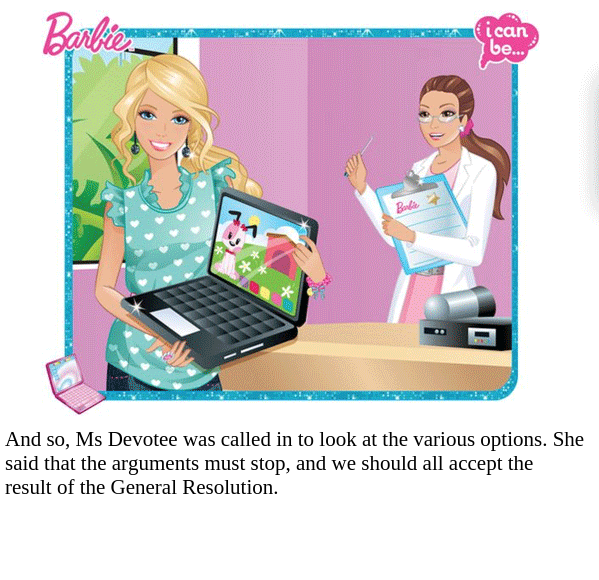 [*1] and your decision to publish the very MikeeUSA-like “song”, the song not so much.